LACEY, WA — …No one was home at the time, and firefighters were able to extinguish the fire quickly and search the home for pets. 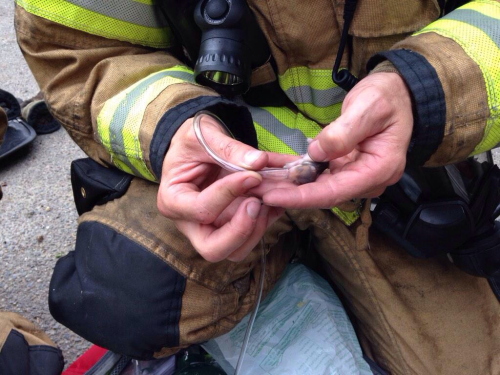 Firefighters found a family of hamsters — two adults and several babies. The adult hamsters recovered quickly with the help of oxygen, but one of the babies died, Hulfe said. Firefighters often have to help dogs and cats who are injured in accidents or caught in fires, but helping hamsters is less common.